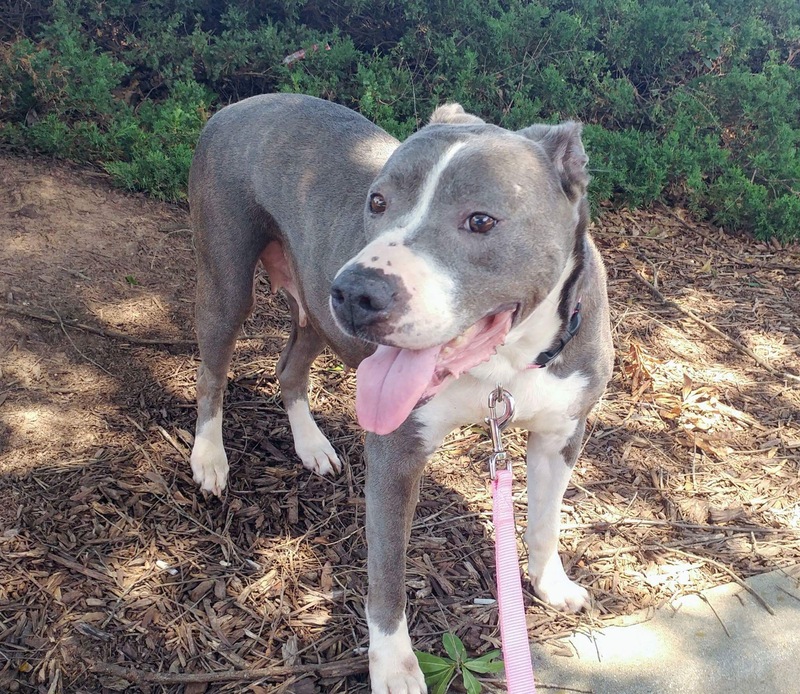 Missy was saved from Clayton County the day she was going to be euthanized. 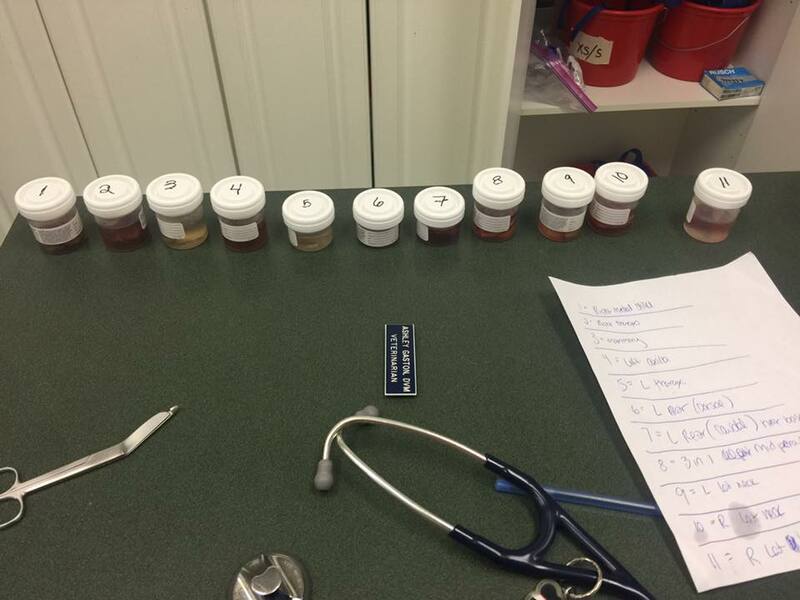 She went straight to vetting where they found a small mammary mass that they removed. They told me it was nothing to worry about. She was also heartworm positive. I pulled her because someone wanted to adopt her. 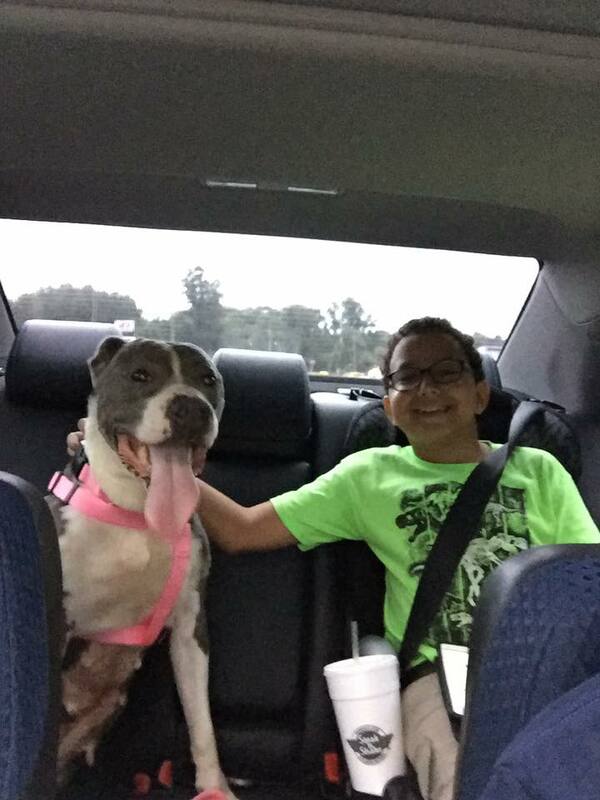 They ended up just wanting to foster her. I tell all my fosters to keep their new foster dog separate from their other dogs while they decompress and adjust into a new home and environment. Within the first day Missy was there she was attacked and hurt. 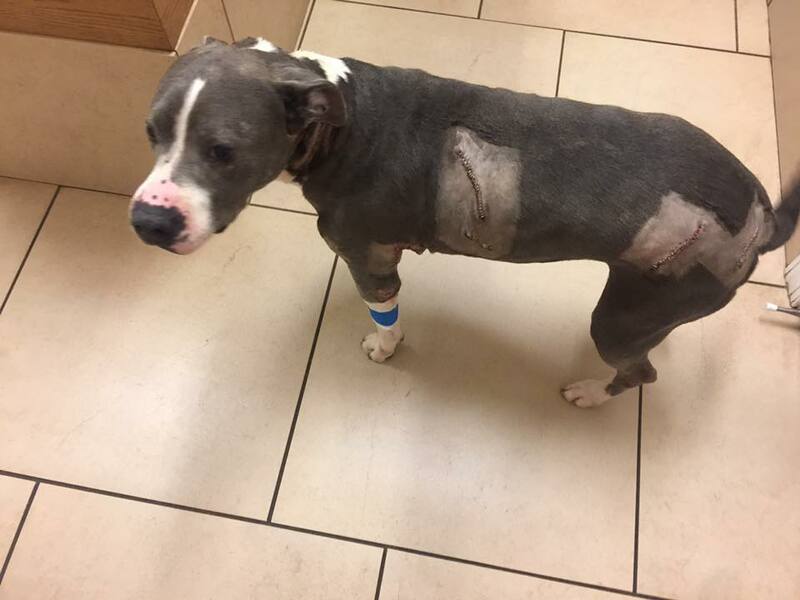 She had many puncture holes and was taken to the hospital and put on antibiotics and anti inflammatory medications. They couldn't keep her so Missy went to boarding for about 2-3 weeks. 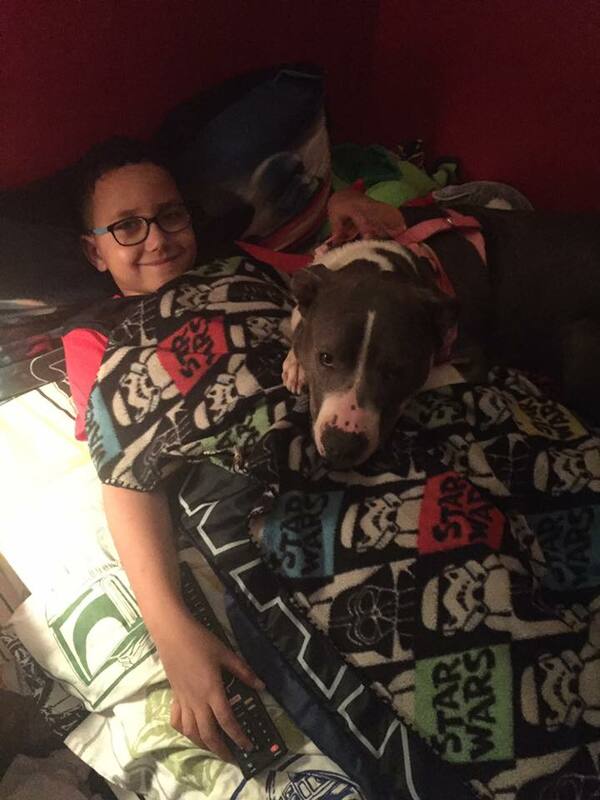 Someone contacted me wanting to adopt a dog because their dog had just died from cancer and she was wanting another dog for her son since he had been so sad and depressed without their dog. He picked which dog he wanted out of boarding and it was Missy. There was an instant bond and connection with Missy and her son. 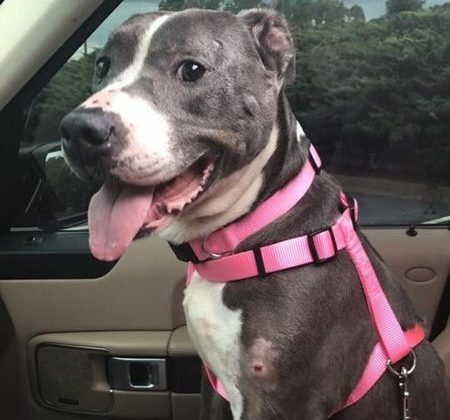 They took missy home and two weeks later took her back to the vet because it looked like her puncture wound was getting infected. Their doctor then informed them that it was a tumor and he found 4 others. Later when she got home she found many more tumors. I immediately scheduled surgery with our vet partner to remove all the tumors and get them sent off to the lab. 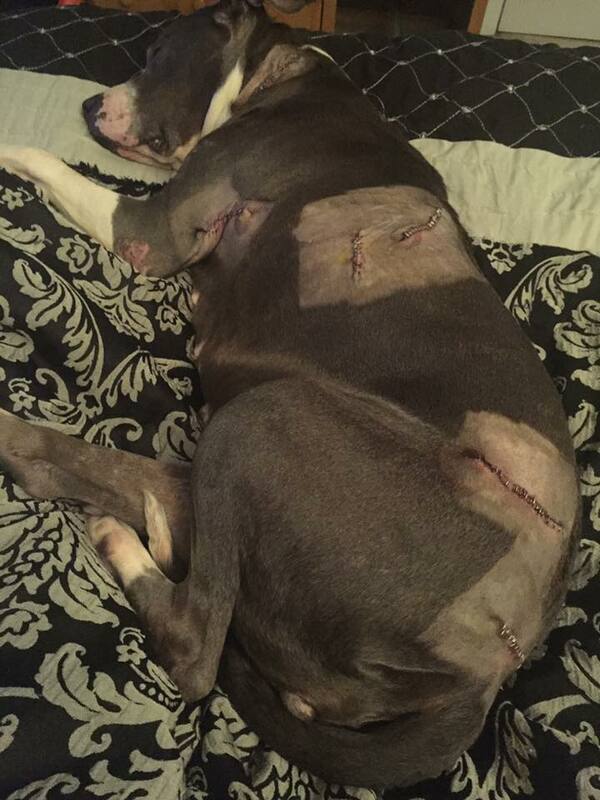 She went into surgery and they removed 11! This poor girl has endured so much within such a short amount of time. It breaks my heart to think that I adopted her out to a family that was mourning the death of their dog that died from cancer and she has cancer too. It breaks my heart that Missy's past owners probably dumped her because she was sick and they didn't want to deal with it. I saved her for a reason and I just know that she is going to pull through and be okay, she has to! We removed all the cancerous cells and we are hoping for the best. 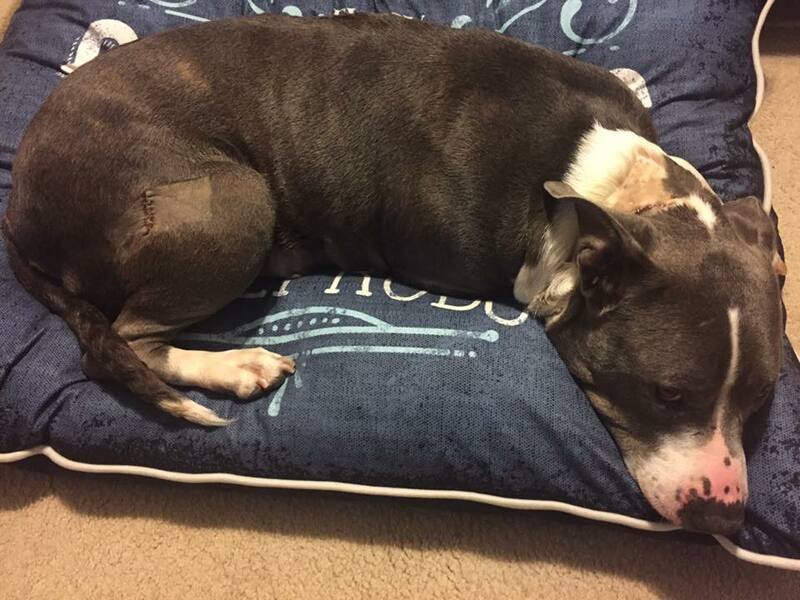 Her new owners can't afford her surgery and treatment after spending so much money trying to save their old dog. All I could do is add the surgery and treatments to my bill and hope that the donations come in to pay it off. I'm so heartbroken over this and can't even imagine the sadness and pain this family is feeling. I can't imagine what they are going through. Please consider donating to help us pay for Missy's surgery and medical bills. Please share to get the word out, we need donations and prayers!! !